Tough stretches at the end of the first half and in the third quarter sink the Rams' chances in quarterfinal loss. 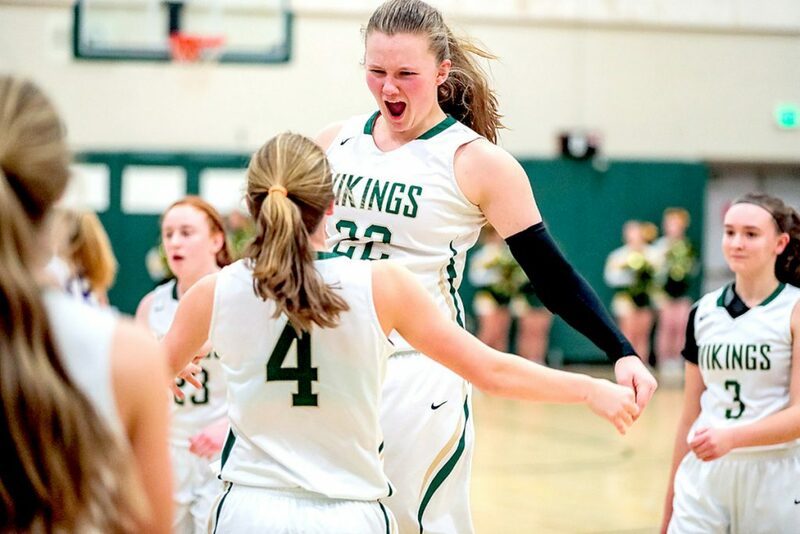 PARIS — Deering proved to be a tough eighth seed, but Oxford Hills is a deep top seed, and that made the difference in the Vikings’ 55-40 win in a Class AA North girls’ basketball quarterfinal Thursday night. The Rams hung with Oxford Hills (16-3) for most of the first half, forcing the Vikings to settle for running one-handed jumpers while making enough shots on offense to trail 18-16 with about 11/2 minutes left in the second quarter. The entire game, though, turned during the next 90 seconds. Brooke Carson made a long jumper, and then Cecelia Dieterich stole the ball and scored an easy layup. Maggie Hartnett made a 3-pointer, then Dieterich stole the ball and scored a layup. Suddenly, the Vikings’ two-point lead ballooned to 27-16 at halftime. Dieterich, Hartnett and Carson are all sophomores, and that 9-0 run was made with two of the team’s top players, Julia Colby and Jadah Adams, on the bench. Deering’s Delaney Haines, Class AA North’s top scorer, opened the second half with five straight points, including one of her four 3-pointers, to cut the deficit to 27-21, but then the Vikings went on a 10-0 run. Colby drove coast-to-coast for a layup, Hartnett drained a 3, and then Dieterich again stole the ball and scored an easy layup. Dieterich finished with a team-high 13 points to go along with her several steals. Even before she was intercepting passes, Dieterich was aggressive from the tip, which Pelletier said went along with the Vikings’ game plan to maintain a fast tempo. Oxford Hills’ lead was 37-21 after the 10-0 run. Deering recovered and brought the gap down to 11 points by the end of the third, but the closest the Rams got in the fourth was eight points. Haines finished with 18 points, and Victoria Garand was a force in the post with 13 points. The Rams (7-12) have no seniors on the roster.